Heavybit's DevToolsDigest is a curated selection of the best resources, product updates, jobs, and discussions in the developer tools industry. Subscribe today and join the conversation on Twitter. This week's digest includes news and resources from Stripe, Snyk, the Practical Dev, Kloudless, Fastly, Microsoft, and more. Stripe has built Sorbet, a static type checker that is 100% compatible with Ruby. They've already started adopting Sorbet at Stripe but are looking for early feedback before it becomes available Summer 2019. On March 26th, 2019, almost three years after the last jQuery security vulnerability was disclosed, Snyk learned about a new security vulnerability affecting the same popular jQuery frontend library. A UX Engineer is a Front-End Engineer who sits on a cross-functional design team and helps facilitate collaboration between design and engineering. Although a few companies, such as Google and Etsy, are starting to hire UXEs, the position differs vastly between companies. If pricing is based on the amount of data scanned, you should always optimize your dataset to process the least amount of data using one of the following techniques: compressing, partitioning and using a columnar file format. Whether it’s saving time and money, getting to market quicker, or helping their integrations scale at a faster pace, Kloudless' Unified APIs have helped so many codebases find success. In this post, they've collected a few of their favorite case studies. If you are a leader, it is your responsibility to work deliberately towards creating environments that make every individual feel welcome. Self-directed employee actions do not constitute a comprehensive solution for solving the problems of diversity and inclusion in tech. AWS keeps evolving, and summits are a great way to stay up to date on the latest additions. If you're using or are planning to use AWS in any way, visit a summit near you when you get the chance. Fastly helps the world’s most popular digital businesses keep pace with their customer expectations by delivering fast, secure, and scalable online experiences. Founded in 2011, Fastly powers online destinations including Airbnb, GitHub, Alaska Airlines, Pinterest, Vimeo, The Guardian, The New York Times and Ticketmaster. Microsoft has acquired Express Logic, a San Diego company that has developed a real-time operating system (RTOS) aimed at controlling the growing number of IoT devices in the world. The company boasts some 6.2 billion devices running its systems. The faster you can ramp up your sales team, the faster you can hit targets and scale the business. 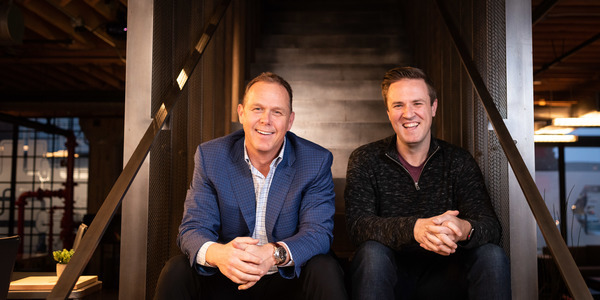 Heavybit’s Sales Faculty Chair Trenton Truitt, and Pusher’s VP of Sales, Brent Kasper, sat down for a chat on executing a technical sales program, setting sales efficiency benchmarks, and ramping to revenue. In episode 38 of JAMstack Radio, Brian talks with J.C. Hiatt, Founder of DevLifts. They cover front end frameworks in the JAMstack, scaling up an ultra-lean business, and even developer fitness.